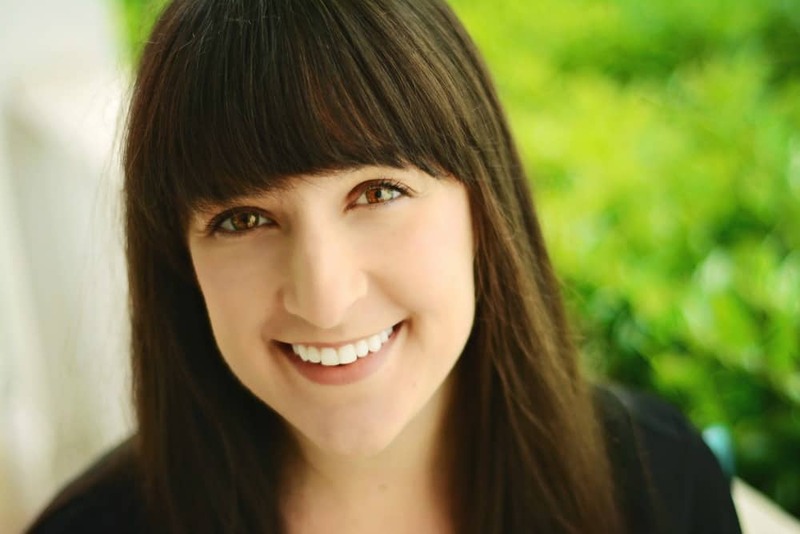 December 6, 2018 By Liz 13 Comments Note: This post may contain affiliate links. Is there anything better than a warm bowl of creamy risotto? How about a creamy risotto that doesn’t require constant stirring? 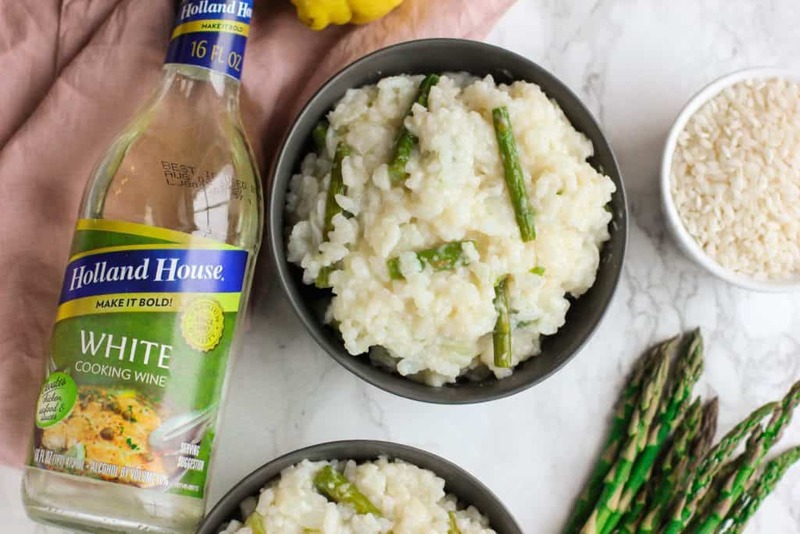 I’m partnering with Holland House Cooking Wine for this recipe and it’s the perfect addition to this creamy risotto. Let’s be honest, I’m lazy. As much as I love risotto, I can’t stand spending the whole evening at the stove, stirring and stirring. So I started testing other methods for an easier risotto and I landed on this Dutch Oven Baked Risotto that is perfect. These cooking wines are a great way to stir in a boost of flavor to slow cooker dishes, soups, and cold-weather favorites, since the flavors hold up in high heat. 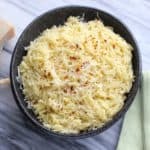 I know the holiday season calls for comfort food and entertaining so this no-stir risotto is an easy way to prepare dinner for a crowd without being stuck at the stove! Holland House Cooking Wines’ bold boosts of flavor can elevate any dish whether it’s a weeknight family dinner or food for a crowd! It took a few attempts but I’m so happy with how this recipe turned out! Use a Dutch oven, which can easily be transferred from the stovetop to the oven. Don’t forget to take out an oven rack, if necessary, before preheating your oven. You want the pot of risotto to be centered in the oven. Using a sheet of aluminum foil between the top of the pot and the lid is a tip I learned. This helps keep the steam trapped inside the pot. 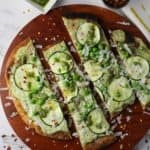 If you don’t have asparagus, you can use peas instead. If using canned peas, simply stir them in when you remove the risotto from the oven. Frozen peas should be thawed first. Use a low sodium vegetable broth and add salt to taste. 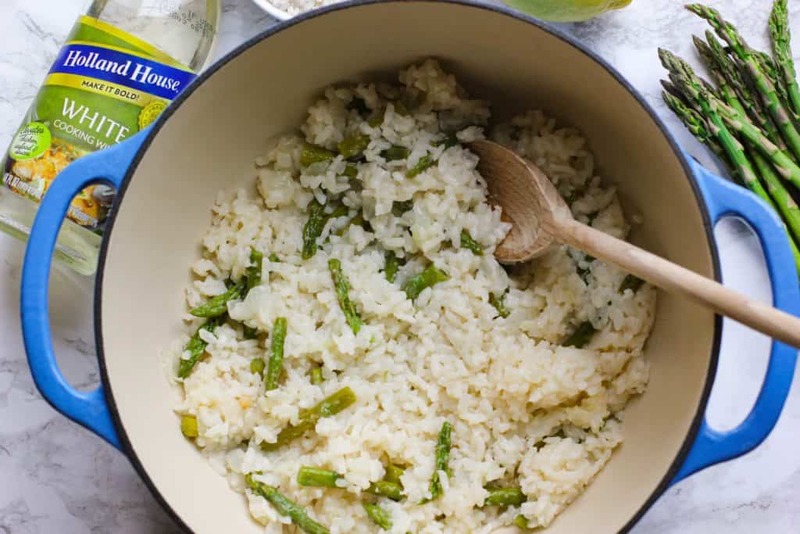 If your broth is too salty, your whole risotto might be too salty. Remove the top baking rack from the oven so the Dutch oven can be positioned in the middle of the oven. Wrap the top of the Dutch oven lid in foil. In a large pot, heat the vegetable broth over low heat. In a large Dutch oven, heat the butter over low-medium heat. Add the onion and stir until evenly coated with butter. Continue to cook over medium heat for 6 minutes, until the onion is translucent. Add the rice, and continue to cook for 2 minutes. Add the Holland House White Cooking Wine and continue to cook for 2-3 minutes until the wine is absorbed. Add the warmed broth, stir, and then cover with the foil-sealed lid. The foil will help trap all the moisture in the oven. Bake for 18-22 minutes. While the risotto is in the oven, use the pot that the broth cooked in to bring 6 cups of water to a boil. Fill a large bowl of ice water. Add the asparagus to the pot of boiling water and cook for 2 minutes until the asparagus is bright green. 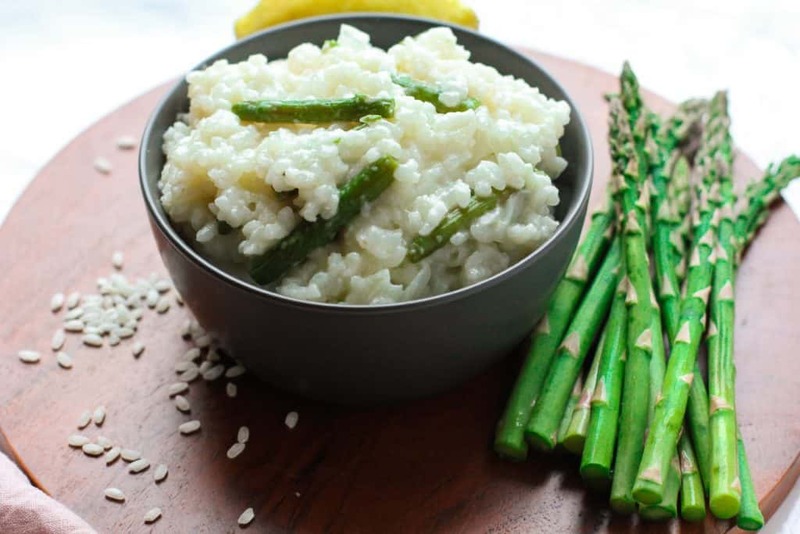 Remove the asparagus from the pot and plunge into a large bowl of ice water. This will stop the cooking process so the asparagus doesn’t get soggy. Chop the asparagus into 1-inch pieces. When you remove the Dutch oven, the risotto will still have a bit of broth visible in the pot. It should not be dry. Add the parmesan cheese and stir for 2-3 minutes until the risotto becomes creamy. 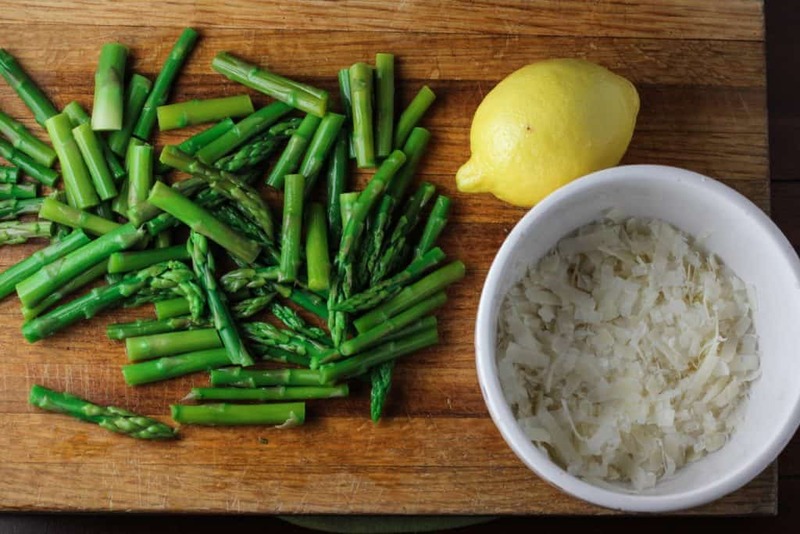 Add the lemon juice, lemon zest, and asparagus and serve immediately. 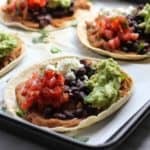 There are quite a few steps in this recipe but you can prepare it from start to finish in about 45 minutes. 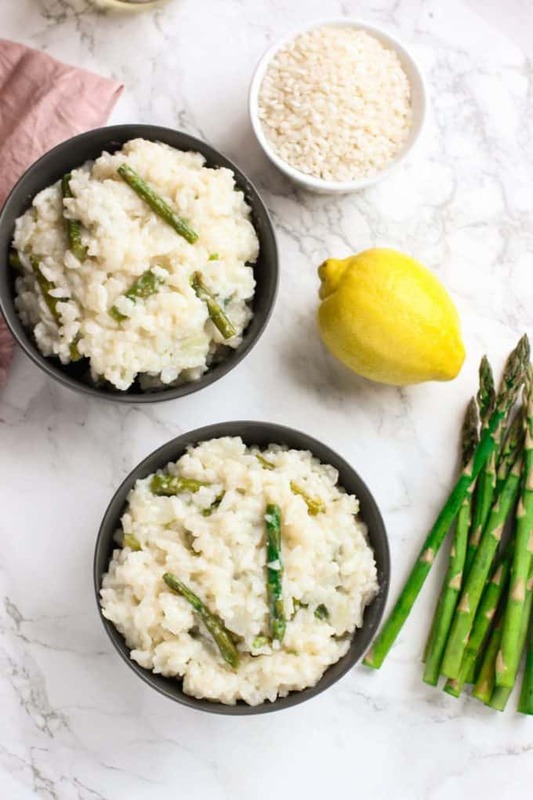 While the risotto is cooking in the oven, you can prepare the asparagus and clean up any tools used during the preparations. Overall, this recipe comes together pretty easily! I’ve made risotto before, substituting broth for the wine and I have to say, the cooking wine makes a difference in the flavor of the recipe. The Holland House Cooking Wine was perfect! 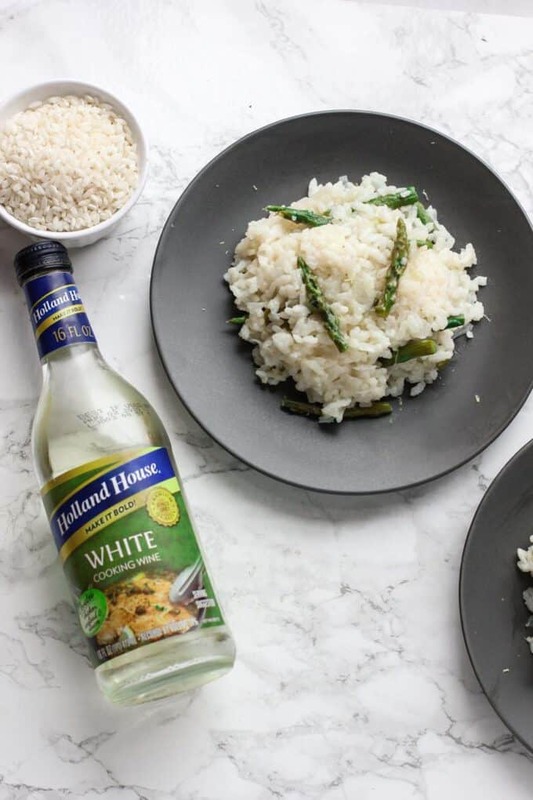 Even if you’re not making risotto, Holland House Cooking Wines are available in five varieties – Marsala, Sherry, White, Red, and White with Lemon. I used the White for this dish but I might try it with the White and Lemon next time! 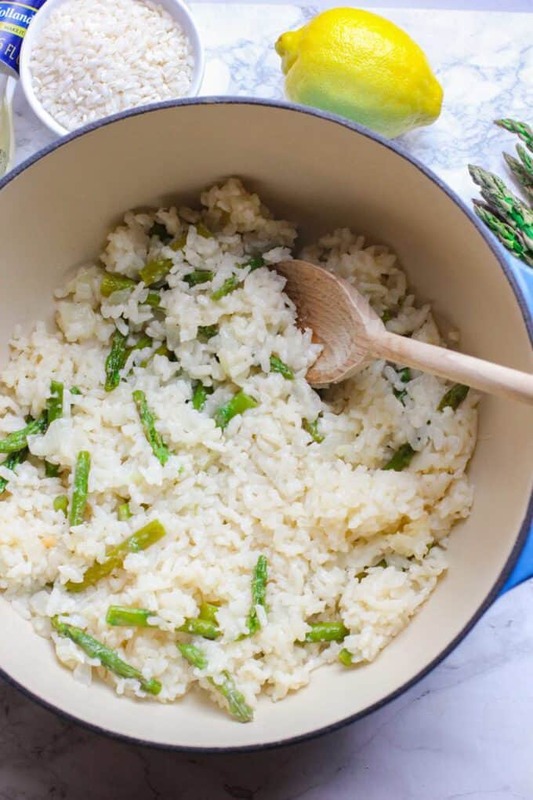 If you’re reheating this risotto, you can either heat it in the Dutch oven or transfer it to a microwave-safe bowl and reheat. You may need to add a splash of broth to return it to a creamy consistency. What’s your favorite comfort food recipe? Be sure to follow Holland House on Facebook and Pinterest for more delicious recipes and tips! And visit the Holland House website to download a redeemable coupon for your next grocery store. This is a sponsored post written by me on behalf of Holland House. As always, all opinions are my own! This is the perfect bowl of comfort and even better that you don’t have to stand over the stove to make it. This is my kind of recipe and can’t wait to try it. I’m a huge fan of risotto but don’t make it much at home! I love that your recipe is no-stir and still looks creamy and delicious!! Wow! Great tip about the foil between the pot and the lid! I’ve never thought of that but that’s perfect. 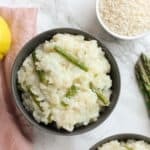 I adore risotto – this looks like it’s creamy perfection! One of my favourite things to make…. risotto. I have a blue dutch oven just like this which I use too. This risotto sounds so tasty. 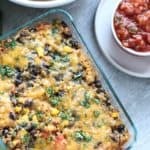 I’m adding this to our weekly meals list because everyone in the family will love this recipe. Can I use real wine? What is the difference? You could use a dry white wine if you like! But if you do pick up a cooking wine, I definitely recommend checking out Holland House! Rich, oaky wines can actually become bitter during cooking. Cooking wine is designed to add a savory depth of flavor to the final dish! It also tends to be cheaper than a wine you would drink. I hope that helps! 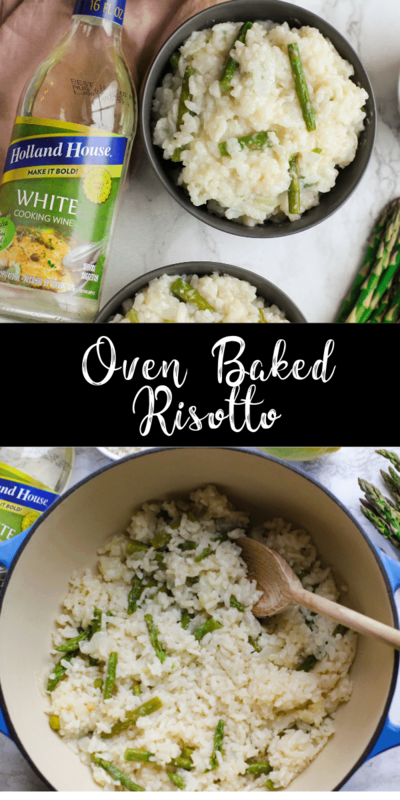 I’ve never made risotto but this looks too good to pass up! I use Holland products all the time. (It’s so nice to not have to go to the liquor store.) This risotto sounds wonderful. I’ve never made risotto without the near constant stirring. Can’t wait to try this new (to me) technique! I’m with you, make it easier and I’m there! Looks so creamy and delicious! My husband loves risotto. I’ll need to put this delicious version on our meal plan.